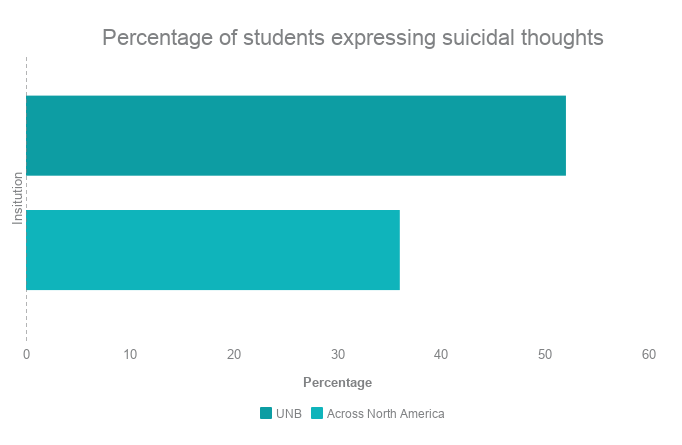 More than half of students walking into counselling appointments at the University of New Brunswick report having suicidal thoughts. It’s one of many new challenges placed on Counselling Services over the past decade, despite receiving no increase in financial support or staff. And UNB counsellors remain among the lowest paid in the country. 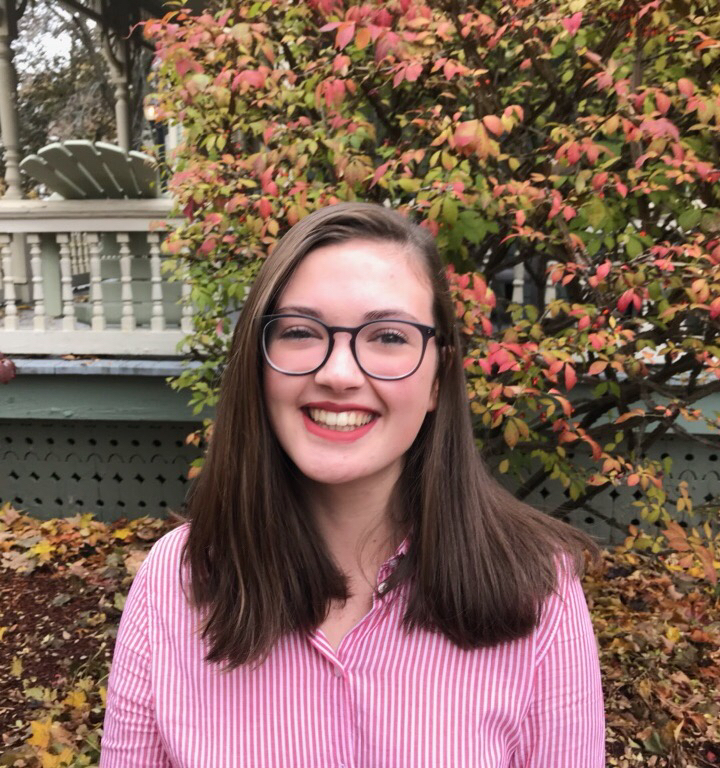 As the stigma around mental health has lowered and pressure on students has risen, UNB Counselling Services is seeing a boom in appointment rates and is facing challenges in meeting demands. 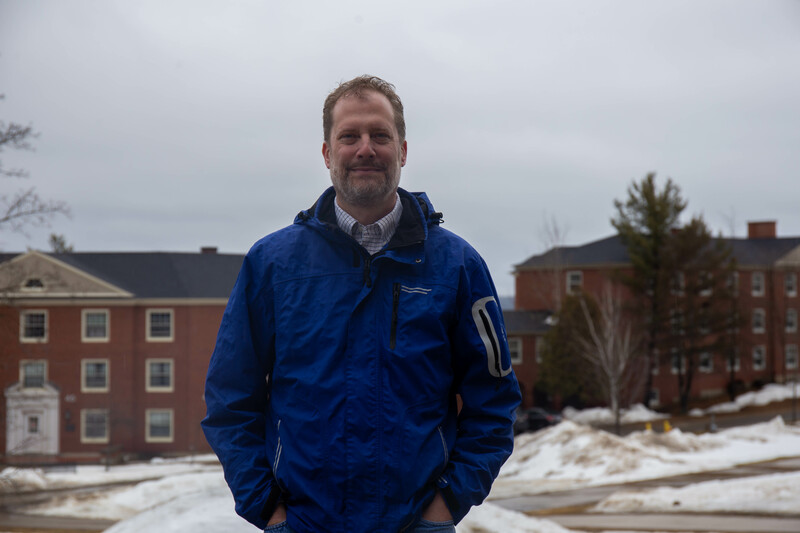 Rice Fuller, director of Counselling Services, compiled a report detailing the growing demand for appointments at UNB, and how Counselling Services has been struggling to adapt. Ten years ago, 744 students attended UNB Counselling Services. In 2018, this number increased by 40 per cent, seeing 1031 students walk through the office doors. After waitlists peaked in Jan. 2017, Counselling Services adjusted their approach to include more initial appointments each week by allowing receptionists to fill nearly any gap in counsellor schedules. This has contributed to a 17 per cent increase in daily appointments per counsellor over the last five years. This increase in appointments has “come at a cost” to counsellors, however, as they now have less time to themselves to take notes, re-group and prepare between appointments. Not only has the number of appointments increased, but so has the severity and complexity of student cases. 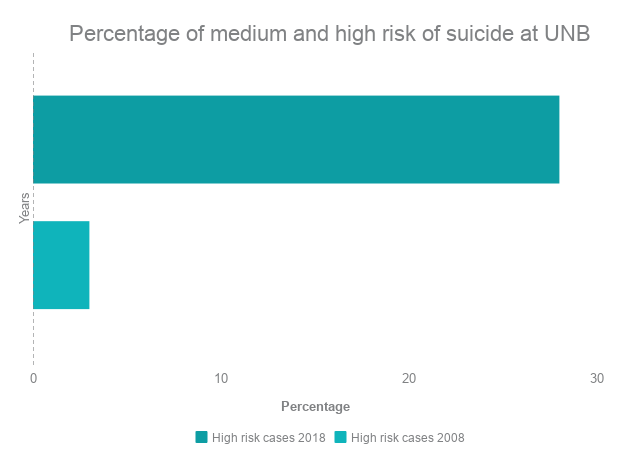 During their initial visit, 52 per cent of students express thoughts of suicide, with the number of medium and high-risk cases increasing tenfold in the last decade. This is 16 per cent higher than other universities across North America, according to Fuller’s report. UNB students attending Counselling Services also show increased rates of symptoms in multiple areas, notably anxiety, depression, and social anxiety, all of which are significantly higher than students at other institutions. This rise in appointments, and severity, has put more pressure on campus counsellors. “It is not a stretch to say that the counsellors who work at UNB Counselling Services are dealing with life and death situations on an almost daily basis, which takes an extraordinary toll on their own wellbeing over time,” Fuller’s report states. This is not the only change the department has undergone in response to heightened demand. In 2014, career counselling previously offered by Counselling Services separated into a new office, the Career Development and Employment Centre. Fuller said this allowed Counselling Services to focus more directly on treating student mental health, but has also eliminated any break granted to counsellors by discussing the less emotionally intense topics of job hunting or graduate school applications. Over time, many new responsibilities have fallen into the laps of UNB counsellors, including training and consultation for staff and faculty on responding to students in distress. University staff also occasionally approach the centre for their own mental health issues. Counsellors also spend time on call after hours and during the weekend. 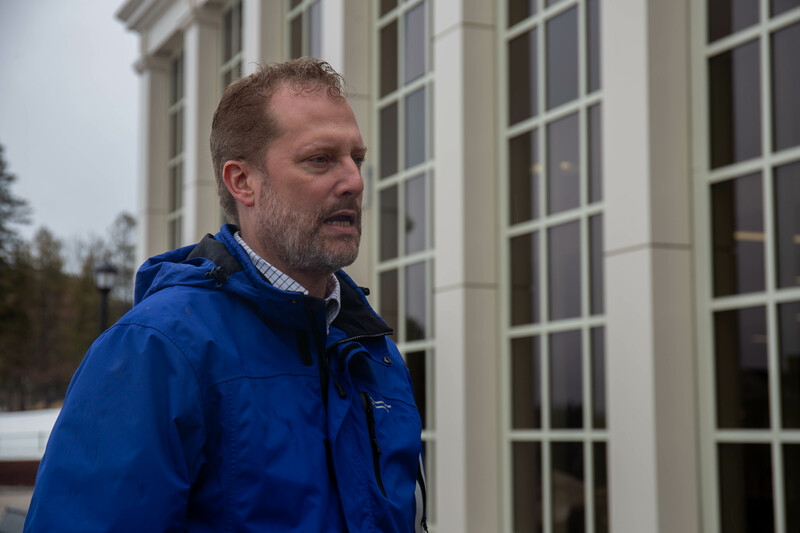 A university spokesperson said Mark Walma, associate vice-president student services, was “unavailable” for an interview after The Brunswickan declined to provide questions in advance. A statement from Walma was provided by the university. 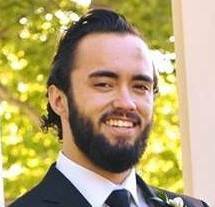 “Although the funding for Counselling Services has remained steady for the past several years, the university has implemented several other programs that support the mental health needs of our student population but may not be directly reflected in the budget for Counselling Services, including the Campus Sexual Assault Support Advocate program, the Student Intervention Team and the work of our Mental Health Strategist,” Walma states. All three of these initiatives either work directly with Counselling Services, or receive significant consultation from the counsellors, according to Fuller. Despite these added responsibilities, the Counselling Services budget has only increased by 11.5 per cent in the last ten years. This figure includes contract-mandated salary increases. Fuller said UNB counsellors are significantly underpaid when compared to other universities throughout Canada, as well as those working in private practice and the public sector in Fredericton. UNB pay ranks lower at all three levels of campus mental health support – counsellors, psychologists and directors – with UNB employees in those positions being paid $20,000 to $40,000 less than their industry peers. UNB counsellors earn $36 an hour, while licensed therapists and psychologists in private practice can charge up to $150 an hour and $170 an hour respectively. Counsellors are also paid less than many other comparable professions on campus, with the lowest possible salary for a librarian or archivist being $2,000 more than the highest possible salary for a counsellor. “It is a sad statement about what UNB counsellors earn that most of them work a second job to help make ends meet,” Fuller’s report states. Increased responsibility and low pay has put a strain on counsellors, resulting in the resignation or request for long-term leave of two of the six full-time counsellors, who were licensed psychologists, within the past year. None of the recently resigned counsellors were willing to comment on their experiences. The Brunswickan also reached out to every current counsellor, and the acting director, all of which declined to comment or did not respond to requests for an interview. Many cited concerns of employment repercussions. 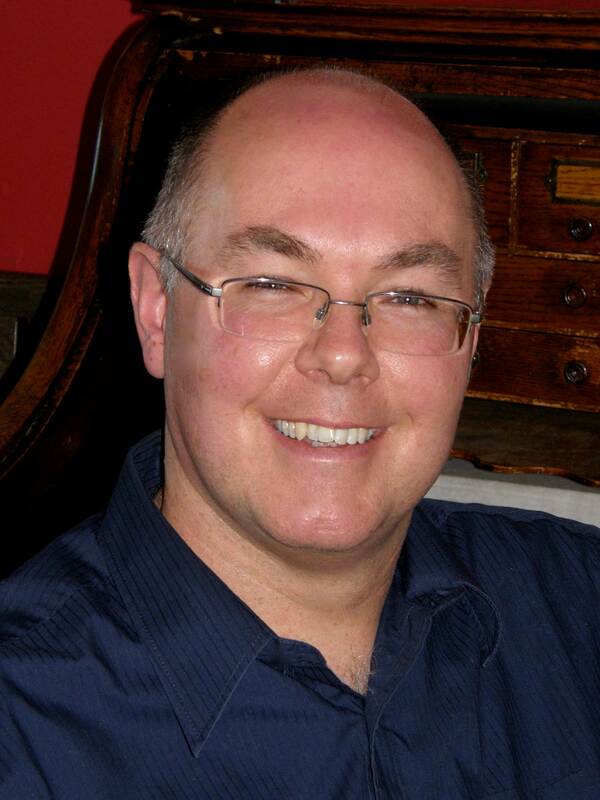 Fuller himself went on leave this year, which he attributes to his rising frustration at the state of support for Counselling Services. Difficult working conditions have made hiring difficult, with zero licensed psychologists applying to fill the multiple empty positions posted over the last decade. The resignation of two psychologists without replacement means that Counselling Services will no longer be able to support the internship program they have been operating since 2014. This program allowed them to significantly increase weekly appointments at a relatively low cost. Suspending the program will be “detrimental” not only to operations on campus, but also to the decreasing population of psychologists and counsellors working in the community. 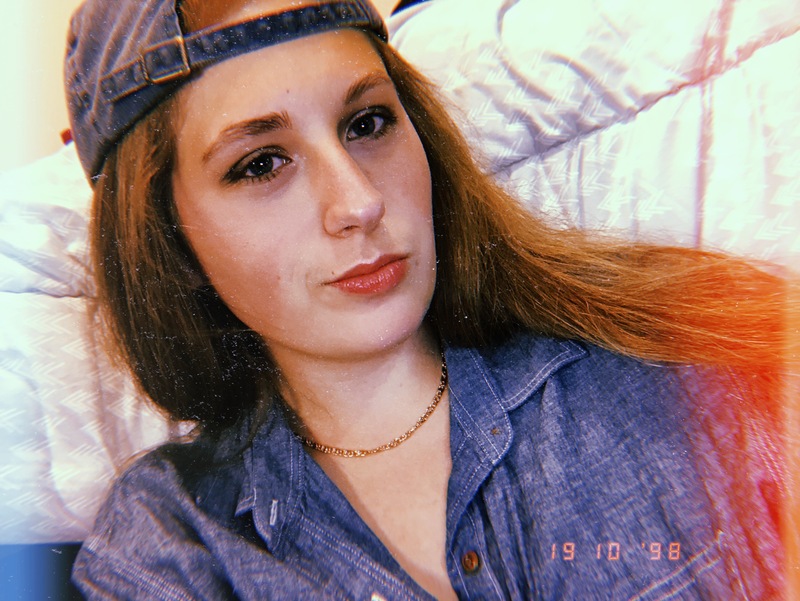 Fuller said these added responsibilities and worsening conditions have gone unnoticed and unacknowledged by university administration. He believes recognition is the first step toward resolving the problem. “But, you know, the university's not going to support us for this other stuff. I at least want to put that out there so it's acknowledged,” Fuller said. Editor's Note: This is the first of a three-part series on the challenges UNB Counselling Services is facing in adapting to increased demand. Read Part One here.